The FOE man has a personality at the same time strong and gentle. He is not afraid to show it and choose carefully the jewel able to represent his soul. He knows that his woman loves just that in him, the ability to show for what it is. A man who loves beauty and that attention to detail but above all able to choose the right accessory able to complete it. In this spot we unveiled his soul, We told his story, his passions, his choices. 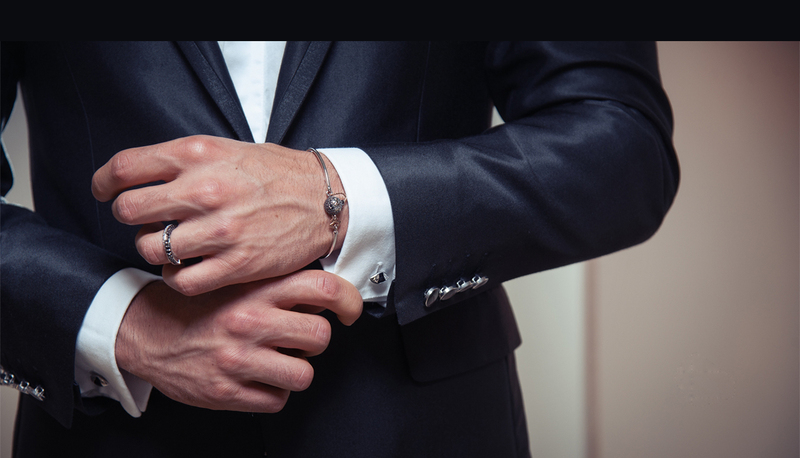 The FOE'UOMO jewel is not for everyone, but it is for him. original in form and balanced appearance . At this stage it translates the stylistic idea in a series of 3D drawings,complete with all the technical and ornamental details, in order to simplify and optimize the work. It ensures the absolute perfection of the subsequent processing steps . Defined the project in detail, you create a prototype in wax and then bronze, retaining the architectural design that passes the supervision of all technical craftsmen. If approved, it will start the final and delicate stage, the production. Expert goldsmiths and setters, shape the gold and choose the best gemstones managing to create a high designed jewelry product made in Italy. rigorously Made in Italy .